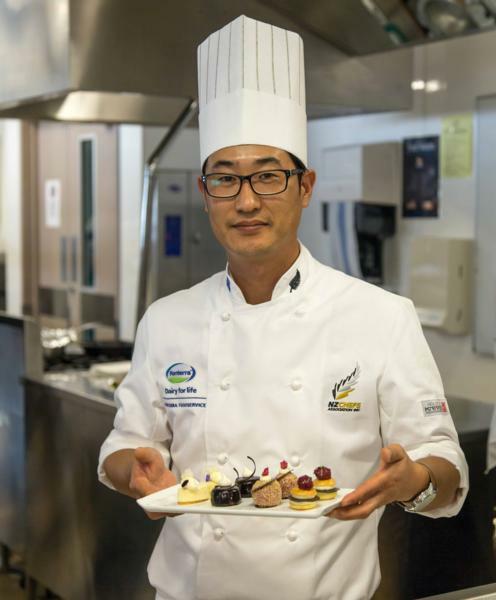 The NZ Culinary Fare has been a highlight on the hospitality industry calendar for many years, giving top Kiwi chefs and trainees the opportunity to showcase their skills and compete for industry awards. Entries are now open for the 2015 event, renamed the ‘NZChefs National Salon’, with competitors from primary and secondary school students, through to trainee chefs and top level national representatives being encouraged to enter. The NZChefs National Salon will be held over four days, from Thursday 30th July to Sunday 2nd August 2015 at the Logan Campbell Centre, ASB Showgrounds, Greenlane, alongside the popular Auckland Food Show with visitors being able to attend both events. NZChefs National President Graham Hawkes says that this year’s event will be “bigger and better than ever” with a much larger audience. “The competitions are a fantastic opportunity for current chefs to showcase their skills and for aspiring trainee chefs to learn from their peers and develop professionally” he says. “So we encourage you to enter and to support those who are competing”. A wide range of competitions have been organised; from NZ Chef of the Year, Pastry Chef of the Year, the Nestlé Toque d’Or to the Curry Cup Open, Secondary Schools ‘What’s Your Flavour’ burger competition and for primary aged school children, the Kids Can Cook events. Along with the individual competition awards, prizes on offer include a trip to China to attend the WorldChefs Asia Pacific Culinary Summit (for Commis Chef of the Year), a Moffat oven and other kitchen equipment. Members of the Hospitality industry can also enter barista, smoothie making and cocktail competitions and compete for bragging rights to ‘best barista’ in Saturday’s ‘Barista Smackdown’ live on stage. The NZChefs Association have also brought back classic hospitality competitions such as table setting, bed making and waiter races.